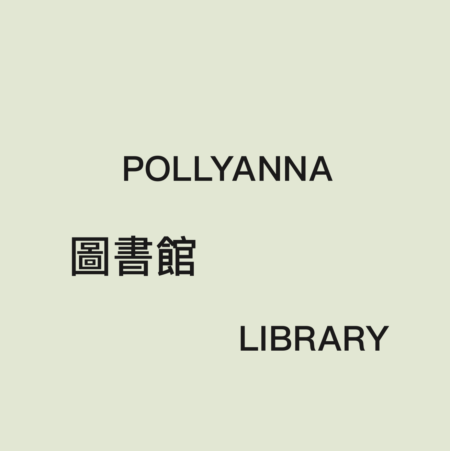 221A is pleased to announce the re-inauguration of its former exhibition room at 221 E. Georgia Street as Pollyanna 圖書館 Library. Please join us in celebration on Friday, September 8th from 7pm–midnight as part of the SWARM festival of artist-run culture. The opening of Pollyanna Library coincides with the comprehensive restructuring of 221A’s artistic activities within a ‘fellowship & infrastructure’ program. This new model will initiate the payment of living-wage salaries to artists who will lead the organization’s research, production and events for three to twenty-four month periods. Under the fellow’s direction, the resources typically held by the art institution—human resources, financial assets, and communications platforms—will be used to realize flexible, semi-permanent artistic projects that 221A has defined as ‘infrastructures’. Pollyanna Library will collect materials directed by 221A’s fellows and provide a public gathering space for talks, screenings and events. Pollyanna Library is stewarded by Vincent Tao, Librarian, whose appointment in 2016 has been instrumental in the planning of the Library to-date. Starting September 10, the Library collections and reading room will be open to the public five days a week. The renovations of Pollyanna Library was generously supported by the Province of British Columbia’s Creative Spaces program and the City of Vancouver DTES Capital Program. The opening of Pollyanna Library will also include the presentation of musician and artist Scott Johnson Gailey’s lunch in the meadow (2017) — a multitimbral situation imploding the sonic, the olfactory, the somatosensory, and those intangible elements otherwise felt. We look forward to seeing you there!